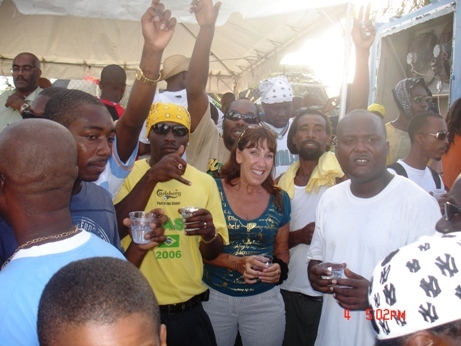 Hi, I’m Barbara Trotman, I first started coming to Barbados in 2006, immediately fell in love with the beautiful island and the following year bought my own little piece of paradise at St Lawrence Beach Condominiums in St Lawrence Gap in Christ Church on the South Coast of Barbados. My background is in Finance & Customer Service, mainly in the Telecoms industry. 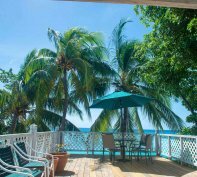 Since leaving my UK position, I have been running my own business – Vacation Rentals in Barbados, marketing and booking Barbados holiday rentals on the South and East Coast of Barbados. I now live in Barbados for most of the year which provides me with the opportunity to oversee the properties and to interact with guests whilst I am here. 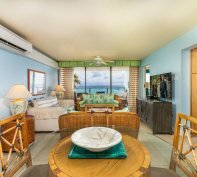 I will do all I can to ensure you have a fantastic holiday experience and tailor the choice of vacation rental for your absolute comfort during your holiday in Barbados. 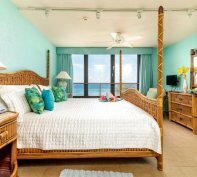 Whether your idea of an ideal holiday includes quiet relaxation by the pool or on the beach or lively night life, Vacation Rentals in Barbados, our tropical coastal locations can offer it. 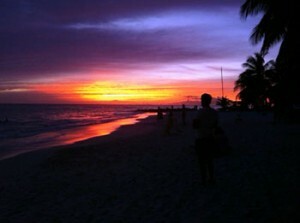 Barbados beach rentals at the edge of the Caribbean sea. 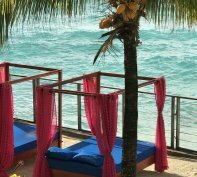 Specialising in Barbados vacation rentals of studios, one, two and three bedroom apartments and Penthouses on the beach at reasonable prices, each offering stunning sea views and fully air-conditioned. 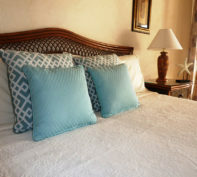 Our studio suites are similar to a hotel room and competitively priced. Ideal for the independent traveller or for those who prefer not to cook whilst on vacation! Enjoy all the facilities at a fraction of the price. Spacious duplex apartments which offer safe holiday accommodation for families at our poolside locations. Just steps from the pool with large terraces. Upstairs/downstairs apartments with two equally furnished master bedrooms & bathrooms for two couples travelling together. Romantic one bedroom apartments tucked away on a higher floor for absolute peace and tranquility for honeymooners. Canopy King beds and quality furnishings. 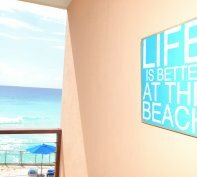 Beautiful on the beach open plan apartments with granite counters, outdoor dining and close to Bridgetown. With hi-speed internet, telephone, a great choice for the business traveller. Three bedroom apartments with a choice of bedroom configurations, catering for all requirements. Fabulous three and four bedroom penthouses with hot tubs and spacious patios. Ideal for entertaining, party goers and those that just like more space and more than a touch of luxury!! With all these amazing properties comes exceptional customer service provided by on-site management and staff at all our locations. 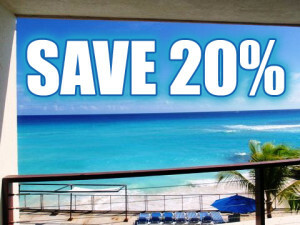 Our mission is to ensure you have a wonderful vacation in paradise! 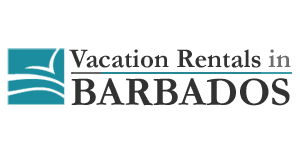 Please contact me for further information or browse our site Vacation Rentals in Barbados to view our amazing selection of holiday and vacation rentals. 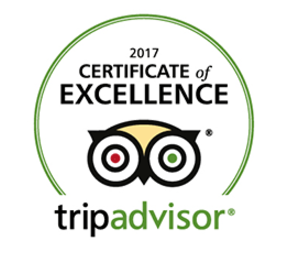 Subscribe to our Newsletter Be kept up to date with the latest news, special offers and Barbados holiday ideas. 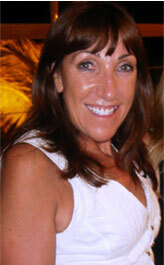 Be kept up to date with the latest news, special offers and Barbados holiday ideas.